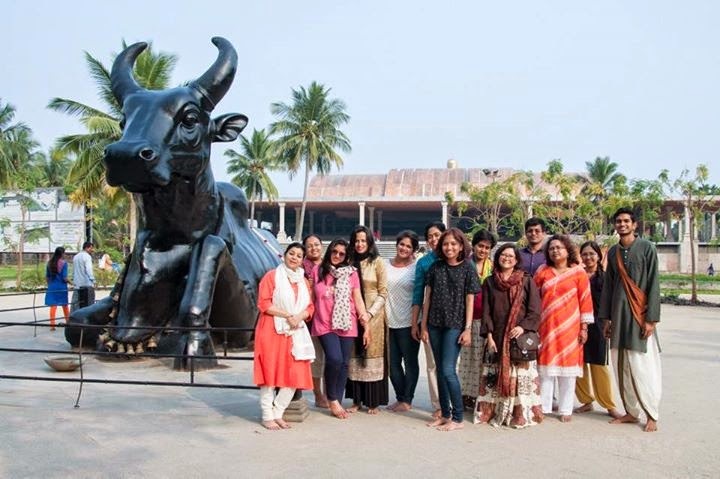 During our visit to Coimbatore 2 weeks ago, we visited the Isha Yoga Centre. It is a sprawling campus located at about 1 hour drive from Coimbatore city and is a famous meditation centre, similar to Sri Sri Ravishankar’s Ashram near Bengaluru. 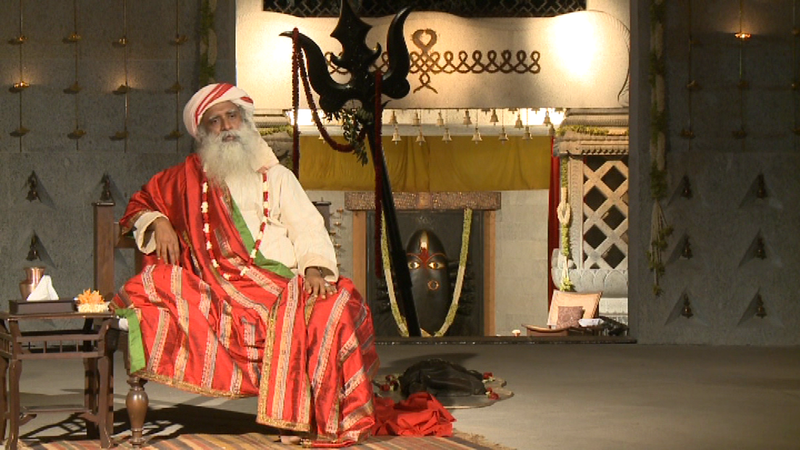 Everything in Isha Yoga centre runs under the brand name of Sadguru, who has conceptualized and built this place. 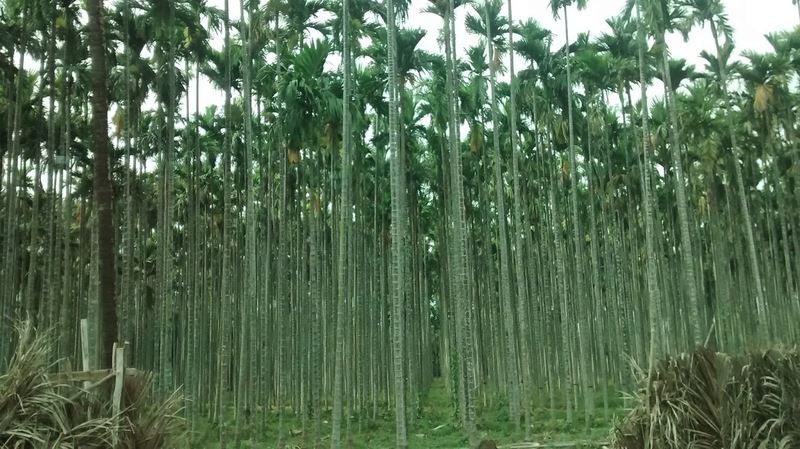 As we approached, sprawling areca nut plantations caught our attention. This post is for those who are interested a bit in spirituality and wish to know more about Isha Yoga centre and if it is worth a visit. If you’re not interested, skip to other travel posts or automobile related posts here. As we entered the reception area, we were shown a video highlighting importance of the centre and its various elements. Photos and videos by visitors are not allowed inside the Isha Yoga campus. Visitors need to deposit their belongings, including mobile phones in the cloak room (Note: Wallet is allowed). We were assigned an official photographer who would take our pictures where necessary and share with us later. As we walked in, the first thing to draw our attention was a statue of Nandi- it has one leg up and is eager to get into action (intense). At the same time it is relaxed. Being relaxed and intense at the same time is difficult to achieve-we were told by a volunteer Rajesh who accompanied us. Next we were escorted to a place called Suryakund- a place where three lingas, made out of solidified mercury are placed in a pool where men could take a dip, touch the lingam and feel rejuvenated. This structure is made out of giant marbles and has a sun shaped structure on the top, amidst lots of paintings. Almost all structures in the campus were described as “Architectural marvels” by the volunteer. Once we were done, we went next to Chandrakund- bathing area for women (well I waited outside). Next stop was the Dhyanalingam, a giant meditation area and supposedly primary attraction is of the Isha Yoga campus. 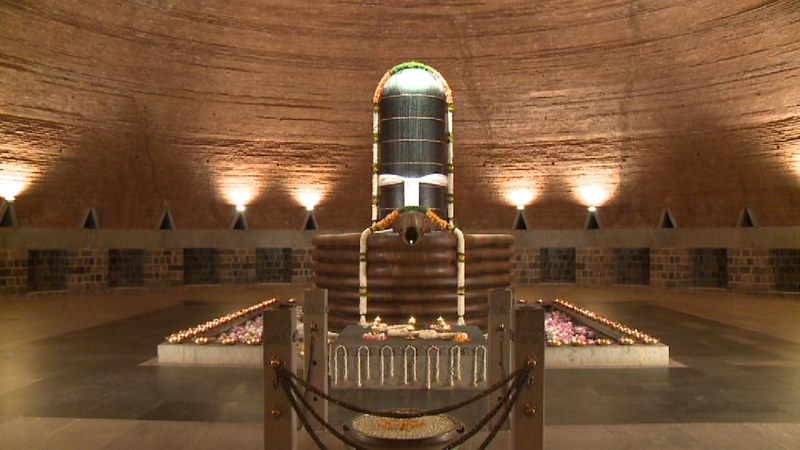 The process of erecting such a lingam is very difficult and doesn’t exist anywhere else in the world- we were told. Dhyanalingam has 7 chakras energised to its peak. This centre has a pillar-less roof- another architectural marvel- we were told. 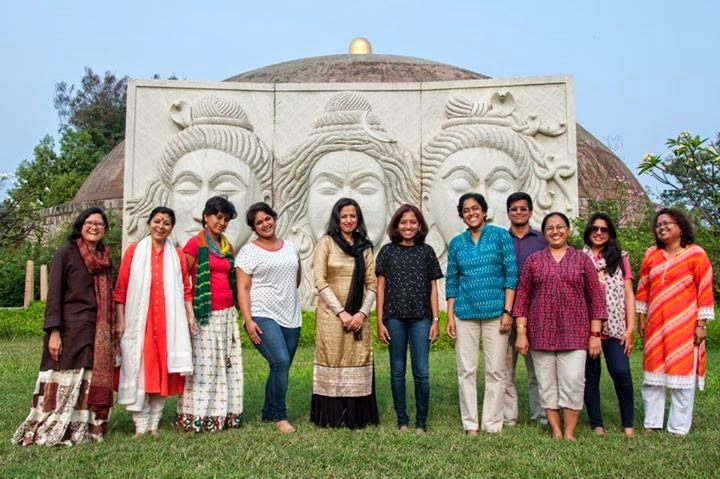 We spent a few minutes inside the meditation area, took a photo infront of Sarvadharma pillar. Then we went to the Lingabhairavi temple representing women power. 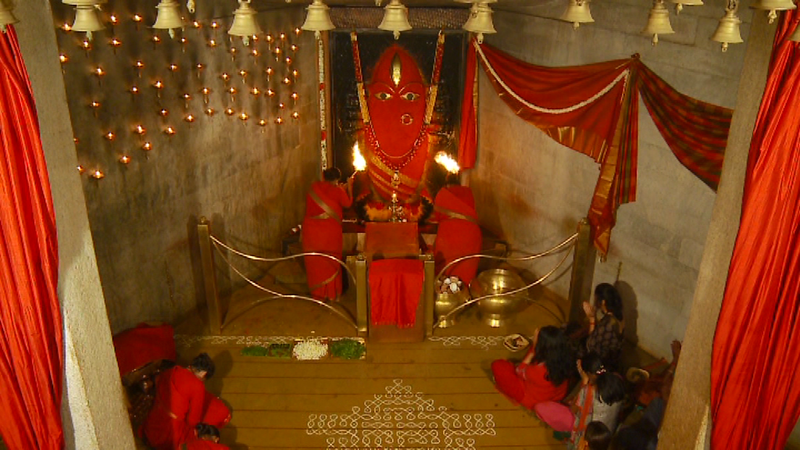 This temple is visited in an anti-clockwise way, otherwise known as Apradakshine. A special way doing sashtanga namaskara, by lying on the floor flat with one leg crossed, is also depicted at the entrance of this temple. Next we were offered Prasadam (payasam), to be bought at Rs 10 a cup. With some time in sovenier section, we were back in reception and headed back to city. It takes couple of days to explore and understand the Isha Yoga centre fully. We were told. I thought there’ll be something unique related to Yoga, but didn’t find any. 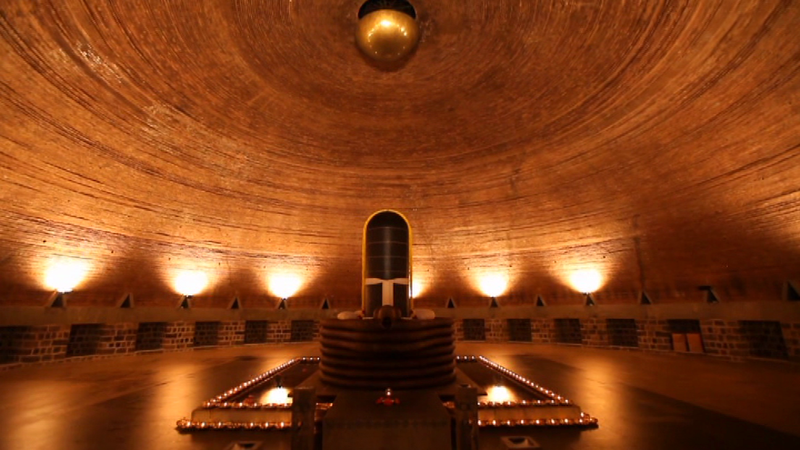 I am not a big fan/follower of spirituality, so not very excited about the place. It was fine for a short visit to get an idea of what’s going on there. But if you’re very keen on these things, you might consider visiting it or even staying there or volunteering there. With ref to the Nandi, what he actually said was the bull is depicted as intense yet relaxed, two qualities that people have trouble combining. "If you ask them to be intense they get tense, and if you ask them to relax, they become lax." Hello there….Well I didn’t know about the fact that there is a yoga centre in the Coimbatore and surely I will visit there once. Moreover I like your post and just hope that if I could get some more post like this.